Apple’s learning center is filled with free content to expand your mind. 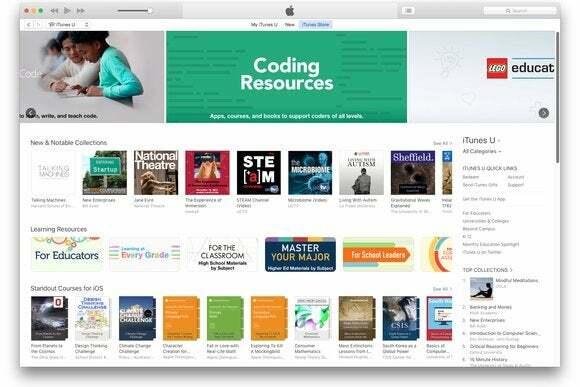 iTunes U has been part of the iTunes Store for nearly ten years, and it remains one of the unsung heroes of Apple’s content offering. It features courses in hundreds of subjects, for nearly every age, from educational institutions around the world. Where else can you audit free course from Harvard, MIT, Oxford, and La Sorbonne? As I write this article, there are featured sections for courses about Health & Medicine, Engineering, Art & Architecture, Business, Literature, and more. Pretty much anything you’d find in a college course catalog shows up on iTunes U, and there are courses in more than a dozen languages. There are also sections with courses for primary school and secondary school, with resources that teachers can use in the classroom. iTunes U is a digital supermarket for free courses, plus some paid content such as ebooks and apps. 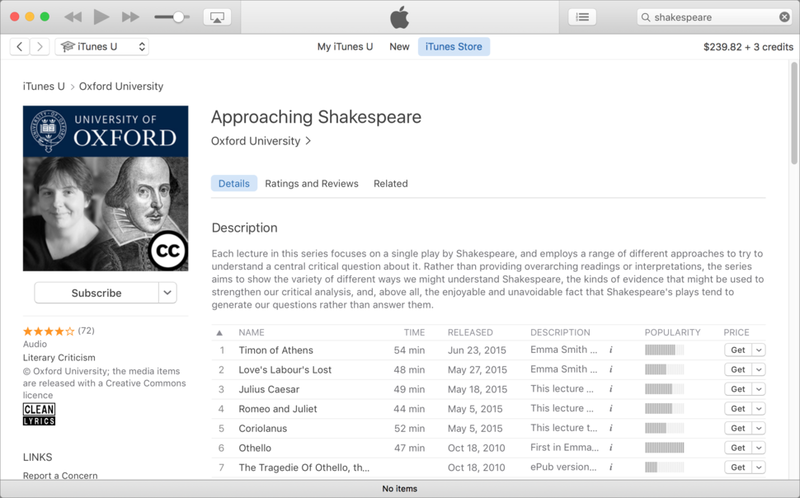 Much as with podcasts, you can either view or listen to iTunes U content directly, download it, or subscribe to specific courses. For a course that has completed, you can download all the content, or view individual items whenever you want; for courses that are active, you can subscribe so you get the latest material as soon as it’s made available. 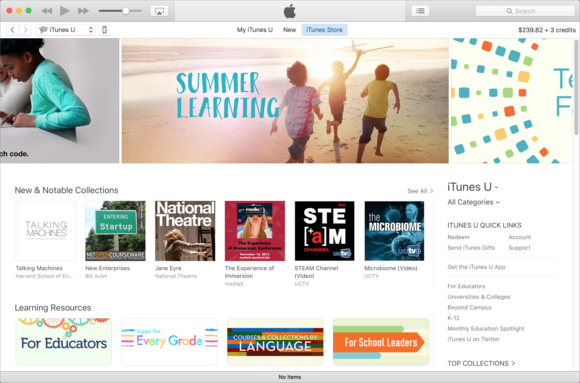 Subscribe to a course in iTunes U to download all its content, or get new lessons as they become available. You can browse the featured topics, browse by category, search the featured collections (in the right-hand sidebar, when you scroll down a bit), or perform a keyword search from the Search Store box in iTunes’s upper-right corner. Search results will show all types of content that match your search—movies, music, books, and so on—but just click the iTunes U link in the right sidebar of the iTunes Store window after you’ve performed your search to see only that type of content. Each person will find different types of content that interests them on iTunes U, but it’s safe to say that anyone who wants to learn will find something to suit them. My iTunes U library contains lectures about Shakespeare’s plays; a series of Smithsonian Folkways recordings about American folk music; Michael Sandel’s thought-provoking lecture series Justice; a series of lectures, in French, about Marcel Proust’s novel À la recherche du temps perdu; and a number of courses about philosophy. You can view videos or listen to audio lectures directly by clicking on a link on a course page, or download the content by clicking Subscribe. If you do this, the first item in the course will download, and you can get the other available files from the My iTunes U section of iTunes. Click Old Materials, at the top right of the iTunes Window, and then Add All to download everything, or click the cloud icon next to in item to download just that one file. 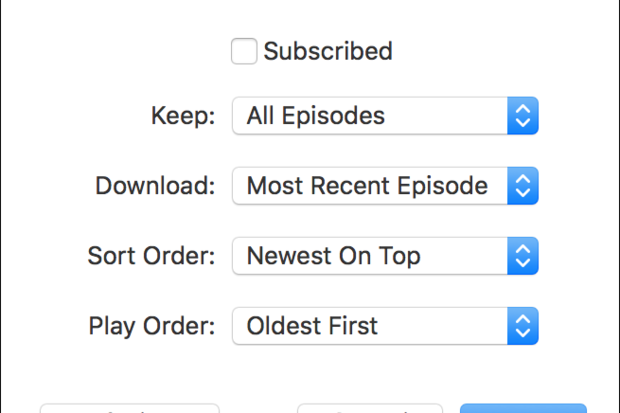 There are several options for managing how iTunes gets new content. Select a course in My iTunes U, then click the Settings button. You can choose settings for the specific course, and if you click Defaults, you can also choose more general settings. iTunes U Settings let you choose what what the app does when new content is available and how long to keep it. Managing your iTunes U content is very similar to the way you work with podcasts. This content shows up in its own library in the iTunes Media Picker, and you can sync it to your the iTunes U app on your iOS device, controlling syncing options from the iTunes U tab when that device is connected. You can also download and view content directly to the iTunes U app. You can access iTunes U content on any iOS device using the iTunes U app. 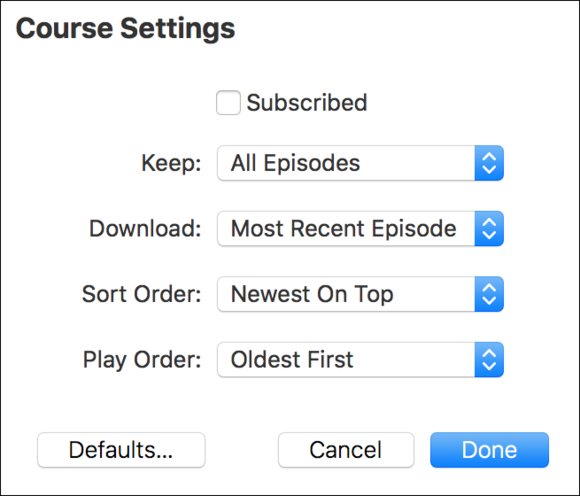 By default, iTunes checks for new iTunes U content every day, downloads only the most recent episode, and keeps all episodes. You may want to keep all episodes of most courses, but not of a specific lecture series that you have only a passing interest in following; you can make the change by changing the settings for a specific course. 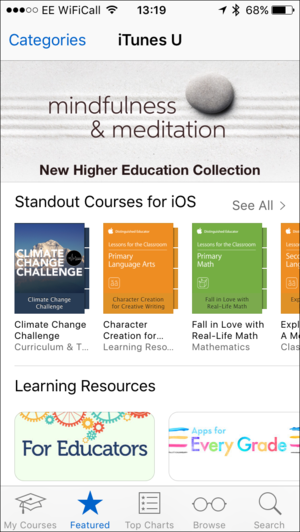 Since iOS 9.3, Apple has added tools to iTunes U for teachers to easily create their own courses, manage homework and grades, and deliver lessons to students. This material is only distributed locally, within a specific school, and is not available on the iTunes Store. 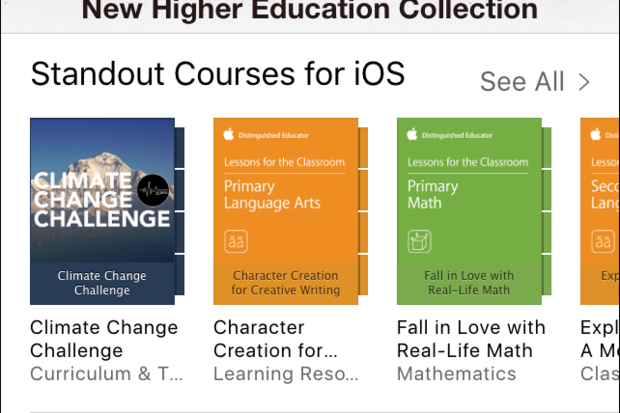 iTunes U won’t replace a college education, and you can’t (yet) get a degree from it, but many universities use iTunes U to distribute content for actual courses that do offer degrees. If you’re not a student, the ability to essentially audit thousands of courses for free is invaluable. And for anyone interested in learning, iTunes U provides content about just about every subject imaginable. Take advantage of iTunes U to broaden your horizons.